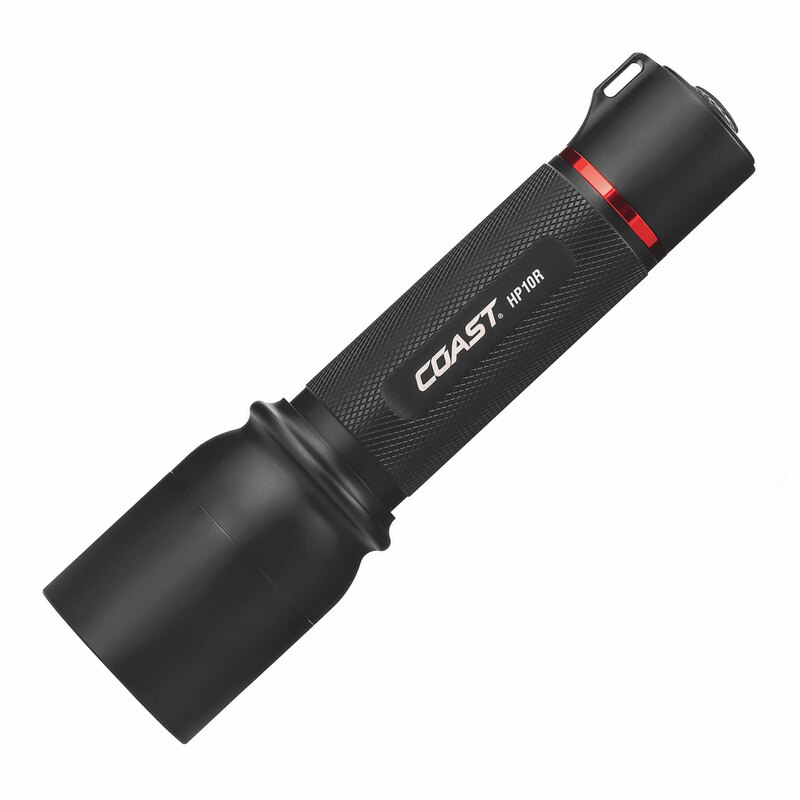 The HP10R brings over 1000 lumens of rechargeable power to a Pure Beam Focusing LED flashlight. Equipped with Pure Beam Focusing Optic and Slide Focus, users can shift between a super wide flood beam or spot mode with transition halo at varying distances and brightness all controllable with one hand. 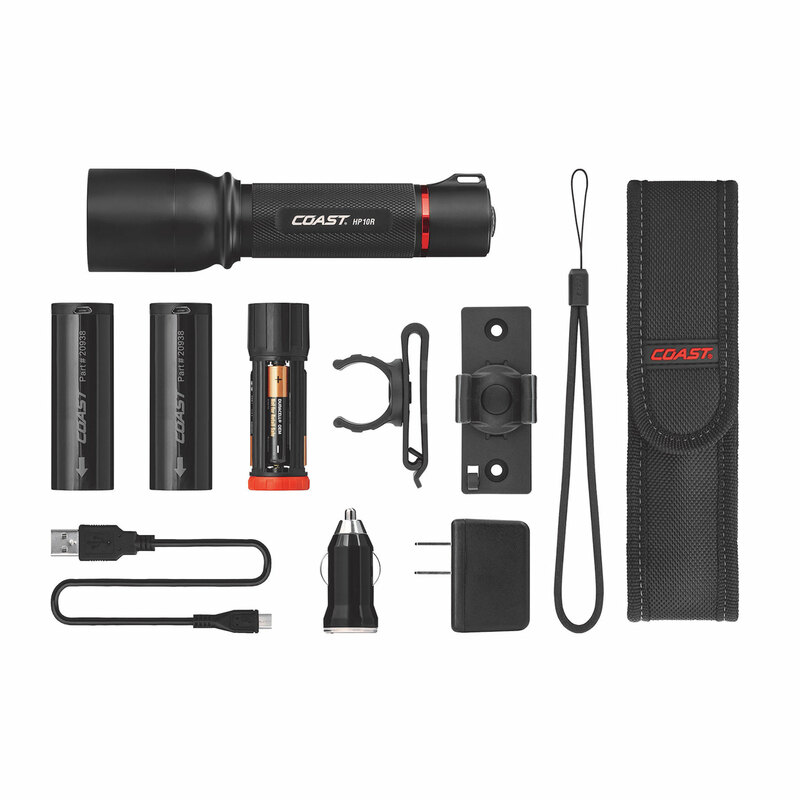 Includes a strobe in between the high and low light modes. The Beam Lock System ensures that users keep the beam in place while they work without risk of losing the perfect lighting. Flex Charge Dual Power system, utilizes either lithium or alkaline power and using a micro USB. A USB insert on the battery and tail cap allows for the recharging either inside or outside of the light. A USB power out under the Pro-Tek tail cap allows users to recharge devices that use USB charging cords. Backed by Coast’s lifetime warranty against defects in materials and workmanship. Tested and rated to ANSI/FL1 standards. 7.1” L; weighs 8 oz.